Online flight booking is becoming the norm. The rise of low-cost airlines has revolutionised the industry, and given tourism a whole new lease of life. In addition to offering travel that is cost-effective and affordable to almost everyone, but these low-cost airlines have also created innovative ways of booking and buying airline tickets. In the past, airline travel was affordable only to those who were prepared to pay a little bit more for their transport. Even with the introduction of cheaper airlines, most people struggled to pay those costs and found it hard to afford the full price of air flight. The arrival of low-cost airlines, who undercut the prices of most regular flights by a considerable amount, meant that for the first time people were really able to afford air transport. Conventional air travel had required that customers get their tickets through travel agents or specially appointed ticket agents. Most often the customer was also required to purchase tickets in person, at a desk or actually in the airport. Low-cost airlines cut through this by allowing their flight tickets to be bought from a website, and without the use of third parties. Allowing customers to buy tickets in this way has become so much the norm that even traditional airlines are now following suit. When you are looking for airline tickets on a website, you will only need your credit or debit card, and access to enough money to make the purchase. You then look at the website of your choice, and choose your destination and departure airports. Once these details have been entered, you can then ask the website to find all of the flights available. You will often find two or three flights which meet your needs, and if you do not need to go immediately then you may be offered several over a period of a week or so. You can then select the flight that you want, and pay using your card. Because the system is so clear to every traveller, there has been a tendency to select low-cost airlines for your travel, and then add in extra details such as travel insurance and even holiday insurance for the trip. You could locate cheaper insurance than would otherwise be available for your holiday. Many of these low-cost airlines also have close connections to hotels and guest houses, which means that while you are paying for your flight you could also select where to stay. Even rental cars are available on these websites, so if you want to spend a week away you could book everything you need on just one low-cost air travel website. As more travellers are choosing to book their holiday arrangements on just one website, people are rediscovering the convenience of air flight. You do not need to go to the travel office in person, and you could find a great deal which will allow you to save more of your money for the holiday itself. You only need your credit card or debit card, and you could book the cheapest holiday and transport in one location. 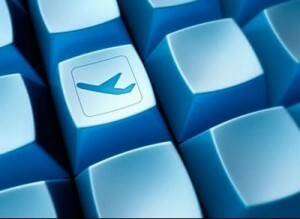 Buy your flights online here: http://travelflight.co.za/flights.